2 Looking to buy an HJC? 13 Alternatives to the HJC RPHA ST? 14 Looking to buy an HJC? The RPHA ST is HJCs fibreglass sports touring crash helmet. It’s a mid-priced helmet designed for riders who spend a bit of time tucked down in a race position but the rest of the time a bit more upright. It’s been designed in a wind-tunnel to keep it slippery, has a built in sun visor for when things get bright and is pretty much designed to be all things to most people. 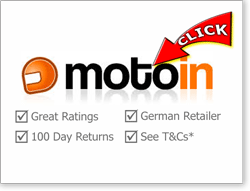 Which is possibly why it won German magazine Motorrad’s group helmet test back in 2014. The HJC RPHA ST is a competent performer. It’s well built, has good ventilation, a couple of great visors, comes with a Pinlock MaxVision in the box and its wind-tunnel designed form reduces buffeting. 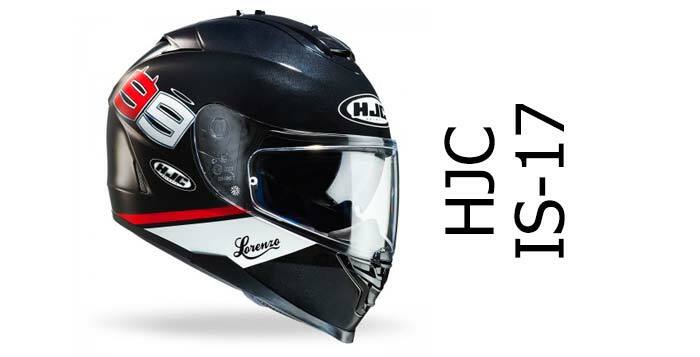 It’s a bit noisier than most owners would like and it hasn’t yet been SHARP safety tested (though looking at past performances, we reckon it’ll score either 3 or 4 stars) but if you’re after a sports/touring helmet that’ll give you years of use – especially with its 5 year guarantee – then it’s well worth checking out the HJC RPHA ST. The RPHA ST hasn’t yet been tested by SHARP so it’s difficult to get an independent, objective review of quite how well it’ll perform in protecting your head. As usual, it’s been both ECE 22.05 approved and DOT approved for sale in both Europe and the US. However, until it’s been independently tested, it’s difficult to say how safe it is. What I can say is that of the seven fibreglass HJC full face helmets SHARP have tested to date, they’ve scored either three or four stars (out of a maximum five) with the average being 3.4. 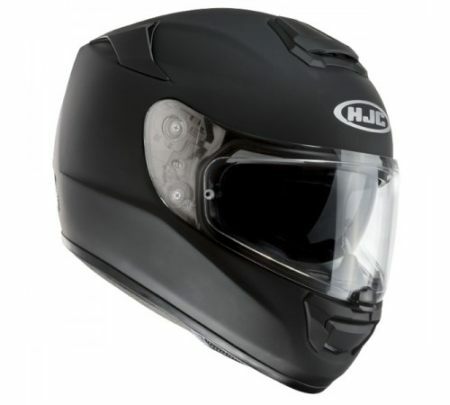 So we should arguably expect a similar score for the HJC RPHA ST.
Other features that contribute to safety which are all a tick in the box include a drop down sun visor, large visor aperture and the fact that the helmet is manufactured in three shell sizes. See why that’s important here. It’s also got a visor locking mechanism which is designed to lock the visor when you close it to stop the visor flicking open accidentally, which could be incredibly distracting/dangerous. In my experience it’s unlikely a visor will flick open for most of us in the course of normal road riding (unless it’s really badly adjusted or faulty), but having a visor locked closed could be very useful in the event of an accident to stop debris entering the helmet. Overall though, we’d expect the RPHA-ST to be average to good for safety. If/when SHARP test the RPHA ST, we’ll let you know here. 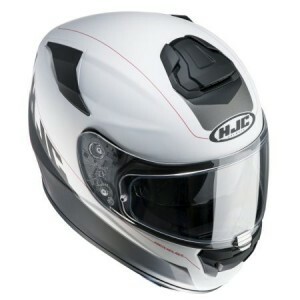 Owners usually have pretty varying viewpoints on how noisy a helmet is and it’s no different with the HJC. 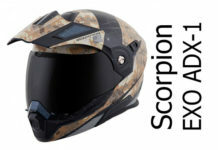 However, taking a multitude of owners’ thoughts into consideration, most people find that it’s a bit louder than they expected and a bit louder than the average full face helmet. Of course, it’s very subjective and it’s worth making the point that it’s very dependent on what your last helmet was like and the sort of bike you ride (fairing or naked, upright our crouched position etc.). 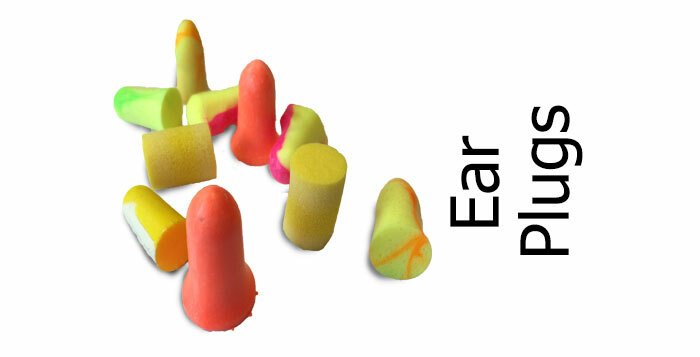 We also recommend you ride with ear plugs in to keep impact on your ears to a minimum. A couple of owners put the noise level down to a noisy top vent. Close it and it’ll reduce the noise. Also sitting upright may stick the vent into the wind more and therefore make more noise. 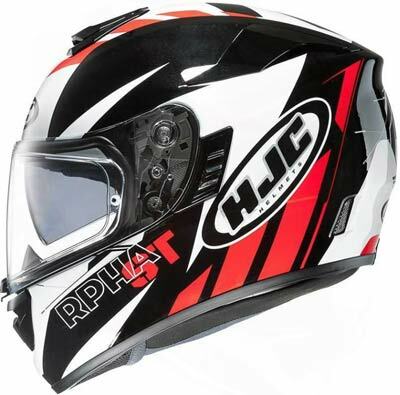 Either way, it seems the HJC RPHA ST is slightly louder than the average full face helmet. Ventilation on the RPHA ST is pretty good. There’s a large top vent high up on the forehead that’s opened with a nice big slider that’s really easy to find and use with gloves on. It’s got two positions, which i’m not sure is really needed (I think for most of us, knowing which was is open and which way is closed is enough of a technical challenge to cope with when riding along!) but the vent does pull enough air in to keep your head cool in warm weather. The chin vent has a large switch too – again easy to use in gloves and pulls a decent amount of air in which, coupled with the Pinlock, does a sound job in keeping the visor clear on cold and rainy days. 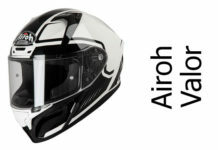 As most mid-top end helmets have these days, there’s ventilation channels cut into the EPS liner to direct the air through to the rider’s scalp and the internal comfort liner has large unpadded areas to let the air through and then channel it towards the rear exhaust vents. Similarly, there’s no problems reported with the visor of the RPHA ST. It has a large visor aperture with good peripheral and vertical vision. The main clear visor is Pinlock MaxVision ready – that’s a Pinlock that sits in a recess in the visor to make an air-tight seal. It’s also taller than standard Pinlocks so when you’re tucked down, the top of the Pinlock shouldn’t get into your line of vision. Good. Another feature of the main visor is that it auto-locks when you close it (a safety feature to give peace of mind that it won’t open when you’re riding along or, hopefully, if you have an accident). It’s down to personal preference whether it’s a feature you’d like on your next helmet or not, but RPHA ST owners find it’s very easy to open/unlock the visor because all it takes is a single movement – opening the visor by the central tab automatically disengages the locking mechanism and opens the visor. 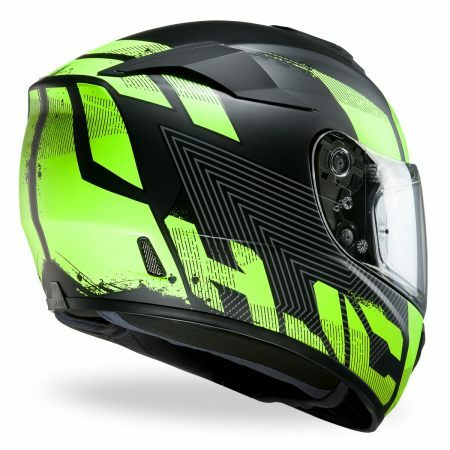 The RPHA ST also features HJCs quick-release visor system (called RapidFire). This is amongst the easiest and quickest visor release systems on the market and means you can take out your visor to clean it – and replace it – in a matter of a handful of seconds. The sun visor sits high up in the shell of the helmet, dropping down when you move the slider to the left of the visor pivot. It’s fine in most respects. It drops nice and low down (not all do) and most people find it very useful. It’s also designed to cut out 99.9% of UV rays. The odd person complains that it’s not really dark enough but there’s not much HJC can do about this as there’s a legal maximum for how dark sun visors can go. Like pretty well every other sun visor, it’s not anti-fog so can be prone to fogging. Overall though, the visor system is well developed and functions well. 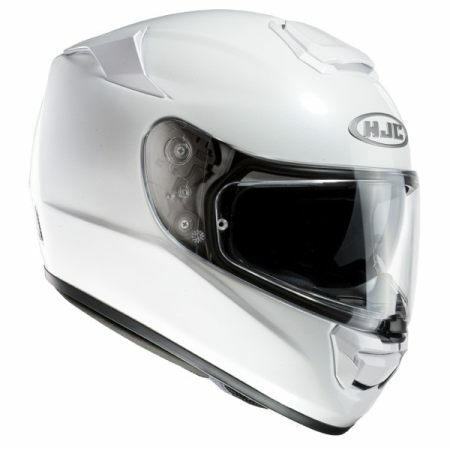 You can get an HJC RPHA ST in sizes XS – XXL which pretty much the same as every other modern HJC helmet. 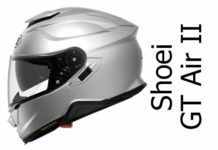 It’s produced in three helmet shell sizes which means a shell size for every two fitment sizes. That’s a good thing because it means whatever size helmet you buy, the shell size will be proportionately the right size to your body and also means there will be about the optimum level of EPS liner and padding used inside the helmet. Inside the helmet, there’s a removeable/washable comfort liner that’s made from moisture wicking material to keep you relatively sweat free. It also has what HJC call SilvercoolPlus – tiny strands of silver are incorporated into the lining to give it antibacterial properties. You only tend to get that in premium-priced helmets so it’s nice to see in the RPHA ST too. That’s all fine and well but does it mean it’s a comfortable helmet? Generally, yes. There’s a few people who suffer around the forehead – possibly because incorporating the sun visor has brought the forehead back a bit – and a few people who just don’t get on with the HJC RPHA ST.
I’s designed to fit quite a broad range of head shapes though, so unless you’re at one of the extremes of fitment shapes – either your head’s pretty long or wide – then you should be OK with the HJC RPHA ST. However, if you follow the rules for getting a helmet that fits right in the first place, then owners say it’s a very comfortable helmet. If you’re looking to buy one, it’s a little small-sizing, so if you’re on the border between sizes, it’s probably worth going for the larger size. But once you get the right size and it fits your head shape, then the HJC RPHA ST is reportedly a very comfortable helmet. It’s also good for glasses-wearers because there are grooves in the lining to allow for the stems to seat without pressing into your head. Finally, it’s worth saying that there might be a slight issue with the chin curtain as a few owners reported that it’s only loosely fastened and can drop off easily. It might have been a batch issue but if a chin curtain’s important to you, it’s worth checking out when you receive yours. 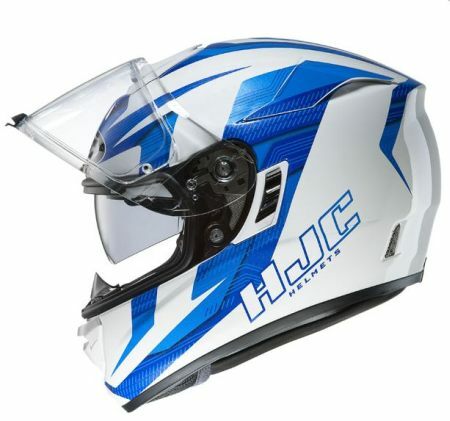 The HJC RPHA ST is a modern-looking helmet with a streamlined, sporty look thanks to its windtunnel inspired design. At the time of writing, it’s available in around ten designs (each with multiple colour combos) so if you want to see the latest designs available to buy, it might be worth clicking through to our recommended retailers using the links you’ll find up and down the page. 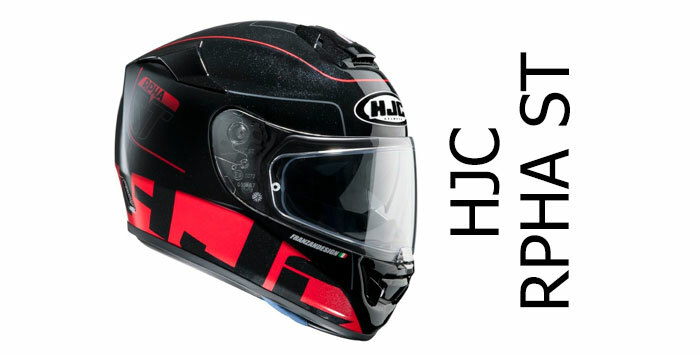 You can buy an HJC RPHA ST in gloss/matt black and gloss white. The Twocut are black/white or grey designs whereas the Balmers are mostly black with bold HJC themed graphics around the lower half of the helmet. The Murano and Rugal are probably the sportiest designs and finally the Knuckle is mean and moody with subtle colours. As always, you can see examples dotted around the page. In weight terms, it’s pretty good. It’s a shade lighter than the average fibreglass helmet so shouldn’t cause any problems with fatigue when wearing it. It’s great for glasses wearers too as it features a glasses groove to accommodate glasses’ stems without pushing them into the side of the face. And because it’s been developed in a wind tunnel, owners say that it doesn’t suffer from too much wind buffeting. Finally, it comes with a double-d ring fastener on the strap. For the first time I’ve heard people moaning about how fiddly they are. Obviously they’ve been around for years and most of us have seemed to be happy with them. 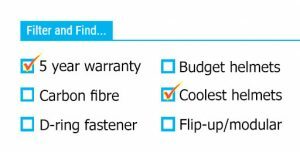 But with the advent of things like micrometric fasteners that are incredibly easy and convenient, maybe it’s a portent of things to come for the trusty old double-d? Alternatives to the HJC RPHA ST? There’re so many alternatives when looking for a full face helmet with a sun visor, it’s hard to know where to start. It’d be worth checking out our list of the best full face helmets we’ve reviewed so far. 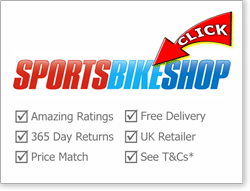 Also, our page showing four and five star SHARP rated crash helmets. But if pressed to choose, there’s the polycarbonate Caberg Vox – a five star rated helmet that’s about as light as the HJC but lot’s cheaper. 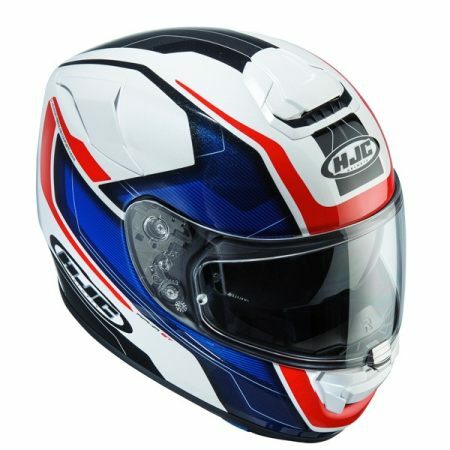 Or how about the carbon/fibreglass SHARP four star AGV K5 which is a tad cheaper than the HJC too. Finally, there’s the Shark Speed R – a SHARP four star fibreglass helmet with a sun visor that’s about the same price point as the HJC. 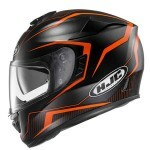 The HJC RPHA ST is a quality helmet. It's a fibreglass sports touring helmet with a drop down sun visor that comes with a Pinlock in the box. It hasn't been SHARP safety tested yet, and it's a little noisy, but it's comfortable, well built and most owners are really happy. Mid priced and a decent performer.